It assists families, offices and corporations in their moving out undertakings. Such services may be made through land and sea. For long years of service, the company has maintained its quality in delivering its services to the clients. That is why the company has remained undisputed in removals business domestically, commercially, locally and internationally. Top Moving understands how moving out is important to you. Our goal is to make everything smooth sailing for our clients. For this reason, the services being carried out are done with precision and quality. Why you should choose Top Moving? For affordable removals, contact us at 0798-029-71-76 or fill out the quote form and we will contact you. The company always adjusts to its clients’ needs and preferences. That is why the company customizes its services to reach out to the clients. Although the company has considered customizing for its customers, the quality and standard of rendering it services were not abandoned. Top Moving offers household removals within the country. It is responsible for the packing of goods with the use of durable materials, loading of packed goods and unloading of the transported goods to its destination. The company sees to it that everything is done well most especially during the packing. This is because the efficiency of the transaction depends on how well it is packed from which it will not be prone to breakage and damages. We can help. Contact us today for more information 0798-029-71-76. Top Moving extends its help to various corporations, businesses who would like move out and branch out. There are instances that corporations need to move out and find a better work place which is feasible to their industry and close to amenities. We aid businesses to pack and transport all of its important documents, furniture, products and delicate equipments. Also, when some of the companies need to branch out and sends office supplies and equipments to the new branch, we are readily available for this kind of shipment. Top Moving ’s customers are always right. We believe that you have the right to demand from us most especially on the manner of providing our services. You are very important to us and everything that you suggest is dealt with utmost sincerity. Top Moving can ensure a professional domestic and commercial service anywhere in London in case you need an office removals or house removals services. We have the capability and knowledge to assist you with every removals London services or moving to any other place in Europe – that’s our assignment. We provide residential moving services or commercial moving services regardless of how big or small, and will customize our service to suit your preference. We cover all UK areas from West, North and South to East London. We always make sure that the services are done with precision and quality regardless of the distance and the enormity of the work load. As much as possible, the company liaise with the client to establish smooth working relationship. So in order to render services efficiently to your end, Top Moving has set down its removals process for you to be guided accordingly. 1. Request for a quote. Quote request is given to the clients for free. The client just needs to fill up the form and submit it or call us on 0798-029-71-76. The purpose of this quote is to evaluate the client’s removals needs and the costs that are related with it. 2. Removals briefing through phone or email. The moment the request for the quotation is submitted, a phone call or email is made to the clients to discuss important details regarding the move and arrangements on the home consultation (if necessary) to be made before the day of moving. Also, requirements for storage, possible moving dates and other concerns on the place of destination are being discussed comprehensively. 3. Written report on the briefing. The company will then send a report on the details that have been discussed through the phone call or email. This is to confirm with the clients on the agreement that has been made. Also, this opens for an alteration or adjustment in accordance to the client’s preference. The report includes the date and time for consultation, name of the surveyor, address and contacts, customs documentation and prohibited articles list. 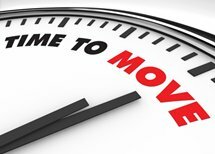 If the move is big (3 bedroom house or larger) we send one surveyor to visits the place of origin to assess quantity of items to be packed and other issues that may hurdle the moving out. Estimates are made in order to facilitate a smooth moving date. After the inspection, we will submit a report to the client on the results of the inspection. The team reports to the place on time carrying paraphernalia that are significant to the packing. They place carpet or floor protectors to guard it from soiling. They also cover banisters and stairways as a standard operating procedure. The team will then start packing the items carefully placing it to its proper containers. After everything that has been packed, a packing list is then made to check on the items properly. This will ensure that all of the items will be loaded to the van and nothing will be left. Also, in this list, every box is labelled and all the items that are inside the container are listed. The packed goods are then loaded to the van. The staffs use their knowledge on the techniques to maximize the space. Handling operations are done to ensure a damage-free transportation. In this stage, the procedures are reversed. Items are unloaded from the vehicle and placing it to its appropriate place. Unwrapping of the packages is also available on client request.